HomeTour DatesNEWS: Asteroid Boys announce a huge run of dates! NEWS: Asteroid Boys announce a huge run of dates! 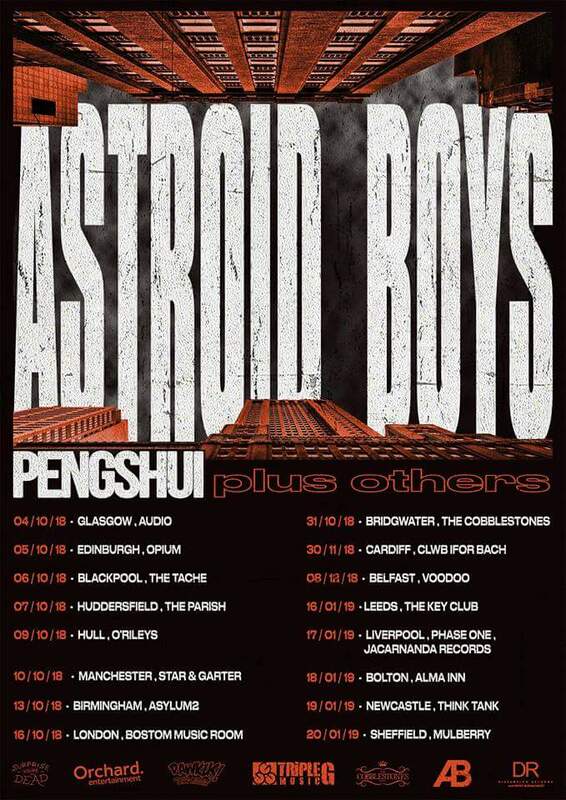 Despite cancelling their Upsurge Festival appearance, Welsh Grime Metal party band Asteriod Boys have announced a wealth of upcoming tour dates with Pengshui. Following our interview with Harrison Cook from Reclaimer, it may just be some of these dates he was hinting at playing! NEWS: Zakk Wylde’s Black Label Society announce single UK date in 2018! NEWS: Impericon: Never Say Die! Tour coming to the UK in November! NEWS: Obscura 2019 European Tour!